The Director of the Office of Sustainability is responsible for planning, directing, coordinating and managing the administrative and operational activities of the Office of Sustainability. This executive position reports to a Deputy County Executive and provides leadership in implementing sustainability goals, policies, and objectives for the County. The Office of Sustainability (OOS) leads County sustainability and climate defense efforts. A qualified candidate would typically possess a Bachelor's degree from an accredited college or university with major course work in Business, Finance, Public Administration, Environmental Management, Urban Planning, Plant Protection, or a related field, and a minimum of 5 years of recent progressively responsible experience working in resource conservation, green building, sustainability, climate change, energy/water conservation, or structural and non-production agriculture pest management, 2 years of which must include management of a Sustainability or IPM type program. A Master's Degree in a related field may substitute for 1 year of general experience. Administrative experience handling complex programs and projects at a public agency is desirable. All qualified applications will be subject to a preliminary competitive rating to identify those candidates to be invited to the oral interview process. It is critical for applicants to submit an online application, resume, and responses to the supplemental questionnaire. Santa Clara County, sometimes referred to as "Silicon Valley," is unique because of its combination of geographic attractiveness and social diversity. With its numerous natural amenities and one of the highest standards of living in the country, it has long been considered one of the best areas in the United States to live and work. The County’s population of 1.92 million is the largest in Northern California, one of the State’s most heterogeneous, rich in ethnic and cultural diversity, and enjoys access to all of the attractions of the San Francisco Bay Area. The elected Board of Supervisors establishes policies to address issues that affect the day-to-day operation of County government and is responsible for an annual operating and capital improvement budget of more than $6.5 billion. It adopts ordinances that affect unincorporated communities and oversees the budget. The County operates under a "charter" form of government, which gives the County substantial responsibility and authority. Under this charter, the Board appoints a County Executive to administer County Government. 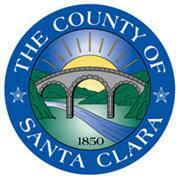 Santa Clara County is the third largest employer in Silicon Valley with approximately 20,000 employees.